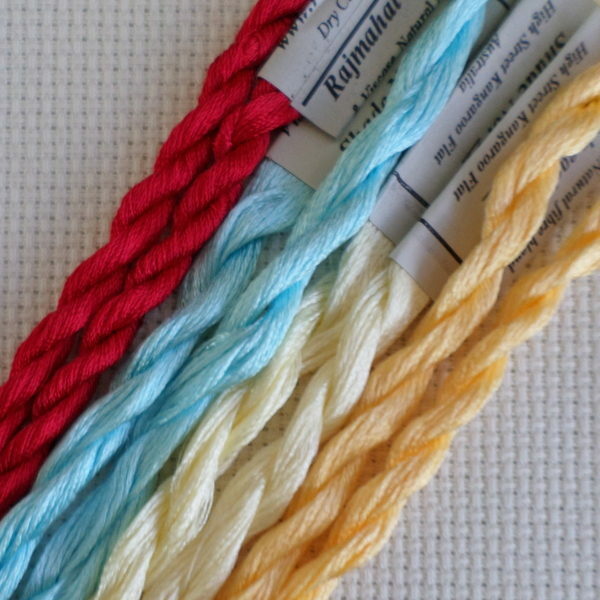 Rajmahal Art Silk threads are skeins of blended silk & viscose. 6 strands and 8 m in each skein. Made in Australia. The threads have a lovely sheen to them. Suitable for embroidery or cross stitch. Note we do not carry all the colours but we can order them for you. Just send us an email via the Contact Us page and let us know what you are wanting.